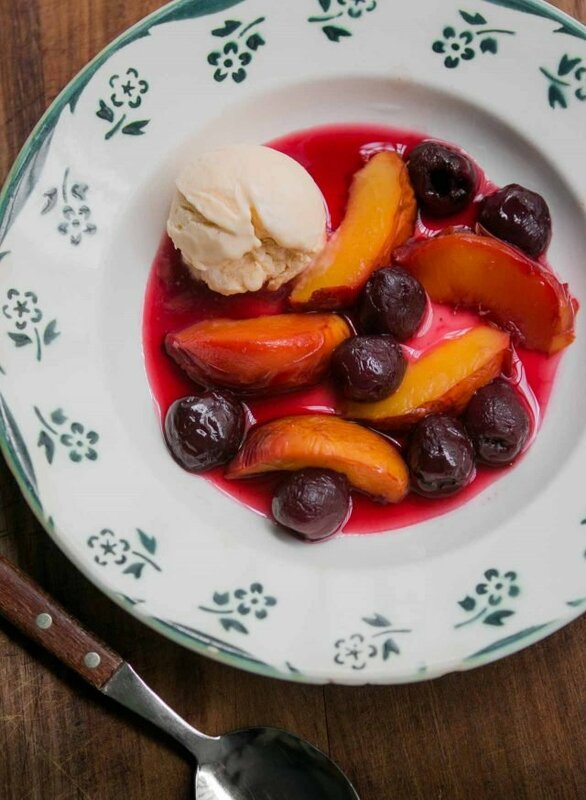 This ice cream pairs two of my favorite recipes – luscious White Chocolate and Fresh Ginger Ice Cream with Baked Nectarines and Cherries. You could just slice and serve the fruits fruit, but baking them brings out the juicy sweetness, which is so seductively simple to spoon up with freshly made ice cream. 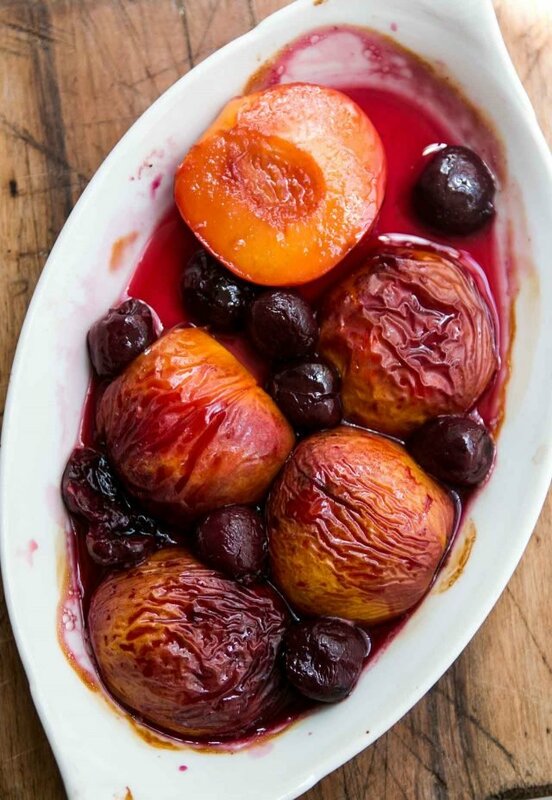 If apricots are in season, you can substitute 6 to 8 fresh apricots for the nectarines, but be sure to use the larger amount of sugar since apricots get much more tart once they’re baked. They’ll also take less time to bake, too. I know you’re going to ask about peaches but I find peaches soften too quickly and I prefer the tartness of nectarines. 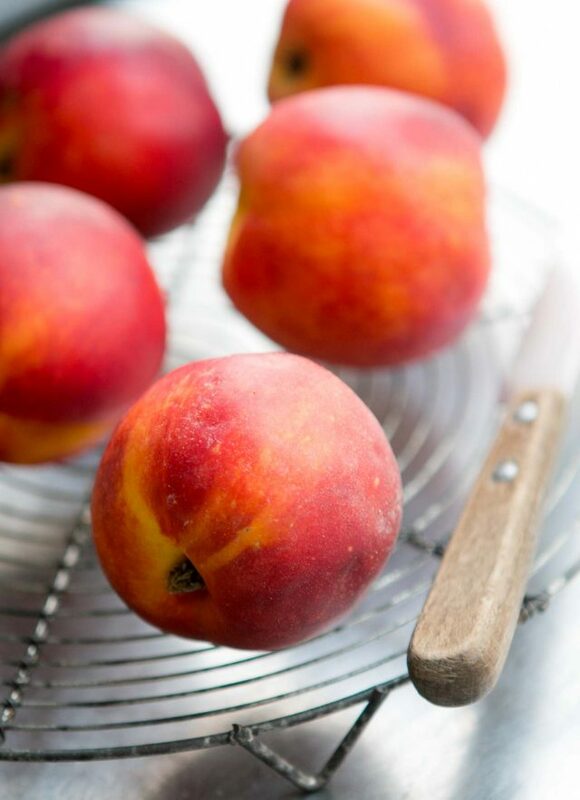 Plus nectarines don’t need to be peeled and hold their shape much better than peaches. 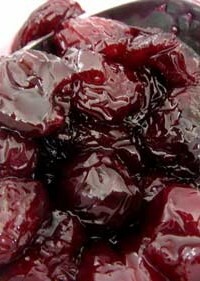 If cherries are out of season where you live, you can add a basket of fresh raspberries or blackberries when you take the fruit out of the oven, allowing the residual heat help them meld into the compote. Lastly, some readers have asked me about ice cream makers so I’ve posted some tips in this post – Buying an Ice Cream Maker, if you’re thinking of purchasing one. They’re not all that expensive (sometimes you can grab one for less than $50) and since I personally can’t imagine getting through the summer without homemade ice cream, you might think about getting one so you can churn up ice cream all summer long, as well as in the fall, winter and spring. Is there anything better than warm fruit, slightly-sweetened, topped with a scoop of ice cream melting on top or alongside? The creamy-sweet taste of white chocolate pairs marvelously with the piquant bite of fresh ginger. Just enough to serve as a pleasant contrast.I prefer my fruit less-sweetened, but you can add the larger amount of sugar if you like. If you don’t have a vanilla bean, just add a few drops of vanilla extract. 1. 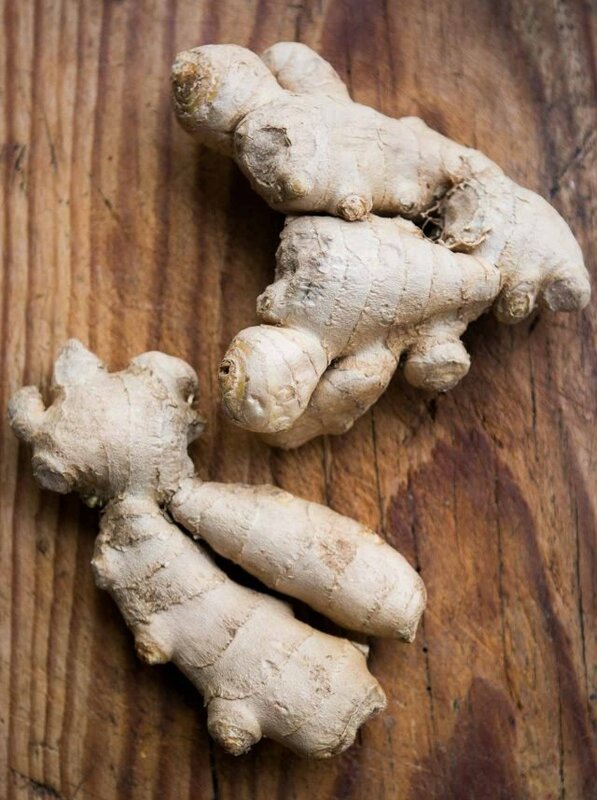 Slice the ginger thinly, cover it with water in a medium saucepan, bring to a boil, and cook for 2 minutes. Drain away the water but return the blanched ginger to the pan. Add the sugar, the milk and 1 cup of heavy cream to the saucepan and re-warm the mixture. Cover and steep for at least an hour, or until you are satisfied with the ginger flavor. 2. Put the chopped white chocolate in a large bowl. 3. In a separate bowl, whisk together the egg yolks, then gradually add some of the ginger-infused cream mixture, whisking constantly as you pour in the warm cream. Pour the warmed egg yolks back into the saucepan. 4. Cook over low heat, stirring constantly and scraping the bottom with a heat-resistant spatula until the custard thickens enough to coat the spatula. Strain the custard into the white chocolate, and stir until the chocolate is completely melted. Discard the ginger. Add the remaining 1 cup of heavy cream and chill thoroughly. You can set the bowl over an ice bath to speed it up. 5. Chill mixture thoroughly, then freeze in your ice cream maker according to the manufacturer’s instructions. Preheat the oven to 375 degrees (190 C). 1. Split the nectarines in half and pluck out the pits. Put them in a 2-quart baking dish with the cherries. Scrape the vanilla seeds into the fruit. 2. 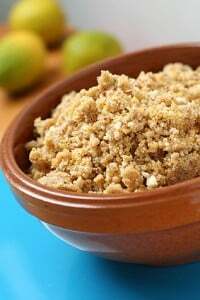 Mix in the sugar and rum or kirsch, if using. 3. Turn the nectarines so they’re cut side down, arranging them in an even layer with the cherries and tuck the vanilla bean underneath. 4. Bake uncovered for 45 minutes to 1 hour, opening the oven door twice during baking so you can jostle the baking dish to encourage the juices to flow. The fruit is done when a paring knife easily pierces the nectarines. 5. 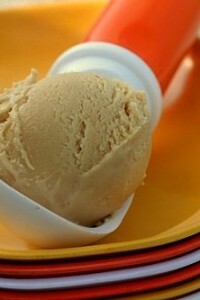 Remove from oven and serve warm, or at room temperature with a scoop of the White Chocolate and Fresh Ginger Ice Cream. Storage: The compote can be refrigerated for up to 3 days. I too buy too much fruit but I just can’t bring myself to use the oven down here in Italy where we are in the middle of a heat wave. But I’m really tempted! Oh, you tease! I was just moping around yesterday about not having an ice cream maker, and this is like salt in my wound. If I had one, I would be on this in a heartbeat. But I do have an oven, and (luckily?) no heat wave in sight to dissuade me from turning it on! Well, you just gave me the dessert for my next dinner party , David. I’m one of the six people in the world who don’t eat chocolate, so white chocolate ice cream? IM THERE. I blew the budget and bought the Lungarotti – at600 bucks. Best kitchen investment I ever made. This weekend, it was raspberry, apricot and brandied cherry. How did I live without it? Lovely entry, as always. 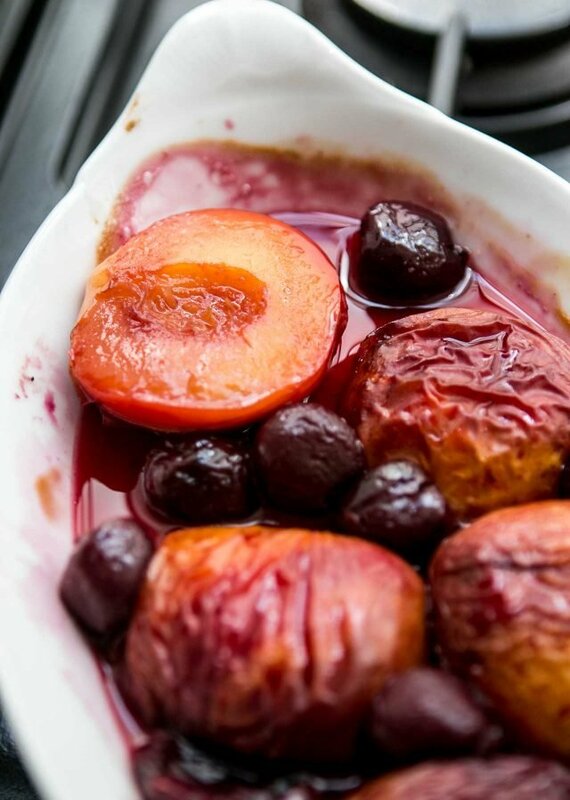 The Nectarine and Cherry Compote reminded me the option of a Nectarine Cobbler. Thankfully I don’t need to buy an ice cream maker because I have you. Now that it’s hot out, get on that would you? I like chocolate, and anything with nuts in it. Is there a way to format your recipes into card-like versions? So that when I print it out, I don’t have to have all of the ads with the recipe….plus, it doesn’t waste paper…. Hi Allison: To add a print option at this point would be I’d have to go back and reformat all the recipes, which would take a considerable amount of time! There are websites that offer a place to drop in a URL, which will print out sites and recipes using less paper. You can look on Google to find one. Hi. I’m curious as to why you blanch the ginger. To kill the enzyme that causes custards to curdle. I just bought The Perfect Scoop and I was wondering if I could make your recipe for ginger ice cream without eggs. I have the same question for many of the recipes- I eat eggs, and have no problem with them in my ice creams, but a few members of my extended family don’t eat them. Is there some formula for omitting the eggs- do I have to add anything to the recipe then? Janki: You could re-do the recipe using the proportions for the vanilla ice cream, without eggs, infusing the blanched ginger in it. Happy churning! This is quite simply the best ice cream I have tasted. I added a bit more ginger than you had suggested (as I love the taste of ginger). Thanks for the recipe. just wanted to thank you for another amazing recipe; i made this for a dinner party last night and everyone went crazy for it!